#1 – Work Belt: That’s right, a work belt isn’t just for carpenters anymore. In fact, it is a required piece of equipment for all of our painters. Having a handy place to stash and retrieve our scrapers, a screwdriver, sheetrock knife, sandpaper, putty knife, caulk gun, 5-in-1 and almost anything else we might need while up a ladder allows us to do our job more readily, thoroughly, and infinitely more efficiently. #2 – Anchor Screw: You might know this handy device as a “Dog Tie-Out Anchor”, but we just call em’ Anchor Screws. It’s a foot-long cork screw with an anchor point at the top. We can sink them into a lawn, then use them along with a rope to tie back bushes, shrubs & trees, allowing for painting access and to keep the branches off the walls while the paint dries. Without them, we’d probably just have to keep a chainsaw or two in the trailers, but we doubt many homeowners would appreciate that much. #3 – Pivot Tool: We call it a “wedge”, and we love it for its ingenuity. It is hard to explain exactly what it looks like and how it works, so we’ll let it speak for itself, check out https://www.provisiontools.com/pivit.asp – The pictures on the site do it justice. We use it almost every day in at least one of its capacities, and that makes it one of our favorite little tools. #4 – 5 in 1 tool – OK, this is only the most ubiquitous & common painter tool in existence – so it shouldn’t really make this list. HOWEVER, we just treasure our 5-in-1s so much, they couldn’t go unmentioned. More aptly described as a billion-in-1 tool, these little gems are our true sidekicks – never leaving our side and assisting with almost everything we do. It’s not uncommon for there to be a mini freak-out on site if someone happens to misplace theirs, or worse yet, borrow without permission someone else’s! 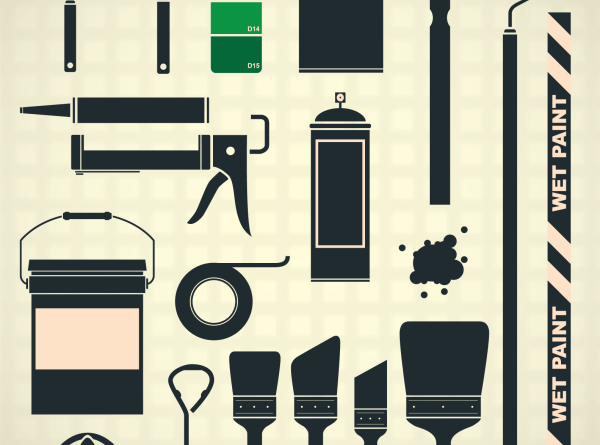 So, if you find yourself DIYing a paintjob around your home, consider using these tools to up your game. 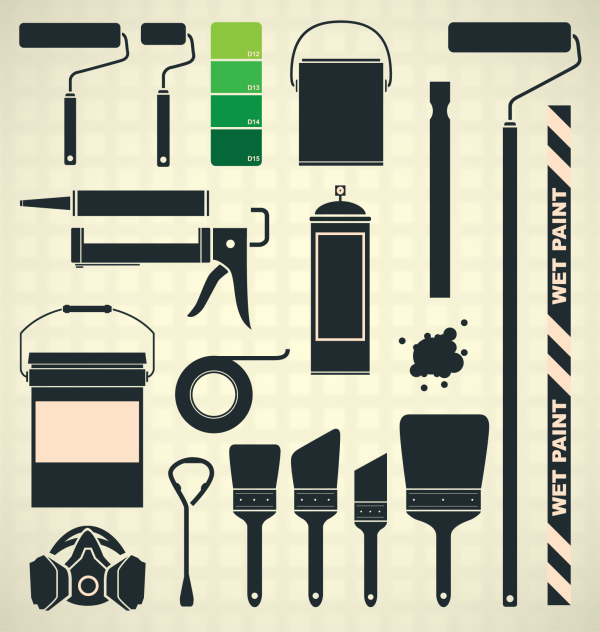 They are just few little tools of the trade you might not have realized were so important to getting things done here at Green Mountain Painters. Finding and utilizing every tool, product and method that helps us continually improve our quality and efficiency is just another way, every day, we Paint Smarter. Pro Tip Series: Painting a Door – success GUARANTEED.